GARDEN DRESSING is a new pet project I am working on with Italian garden historian and architect Filippo Pizzoni. In 2014, after asking me to give a talk on “plants and flowers in Italian fashion of the 20th century” at the yearly conference he organizes for prestigious Orticola in Milan, my love for the subject has literally bloomed. 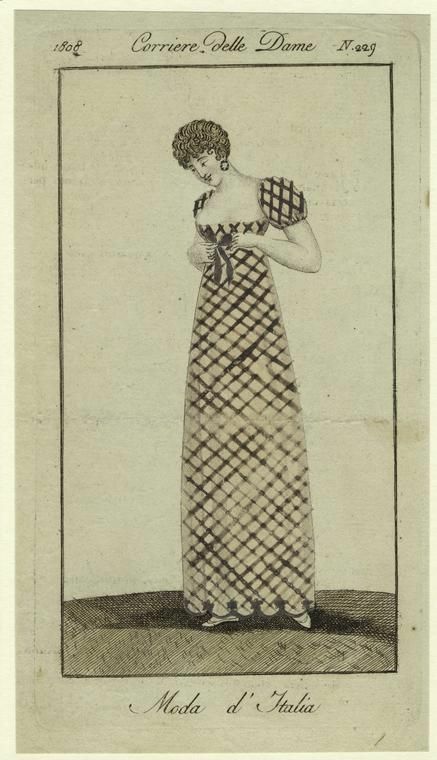 I am now researching for a publication on the theme of gardens and clothes – in its widest possible interpretation. From what to wear while gardening, to fashions inspired by gardens. 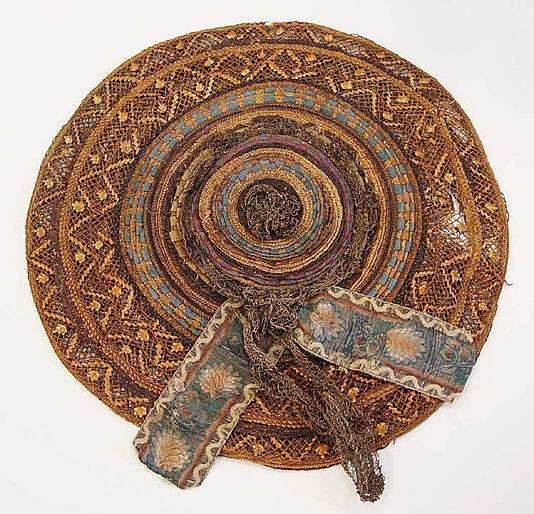 Obviously from a historical perspective – in true fashionarchaeology.com style. So today I have decided to share some images: some beautiful, some curious and some just plain fun. I will return to this topic as research develops. 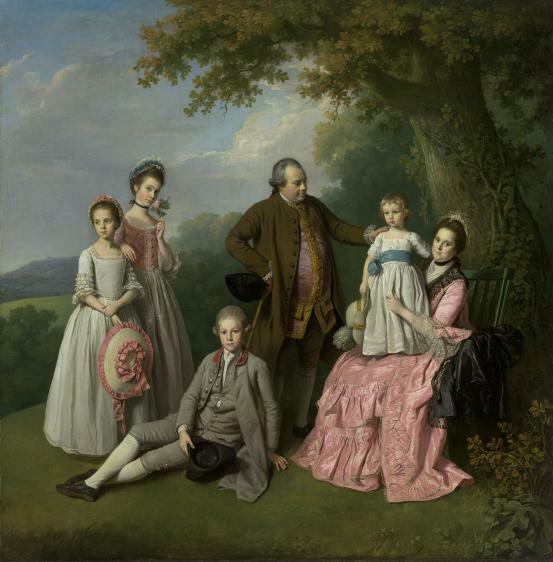 By the mid 1700s images of individuals enjoying the open space, and more specifically their custom designed gardens (note the beautifully trimmed grass), become quite common. The English had already established their ‘garden culture’ which swept across Europe and the world by the end of the 18th century. The children here seem to be the ‘sensible’ ones with their broad brimmed straw hats. Suntans were not acceptable in good society and hats were essential to protect fair skin and indeed light-coloured eyes. Into the 20th century, when representations of women in gardens turn from passive to active. Although sometimes their clothing is totally unsuitable for this outdoor pass-time. This young lady from a 1923 american gardening catalogue has her straw hat but wears dress, stockings and high heeled shoes in immaculate white. From the start of the century we are fed paradoxical images like these. 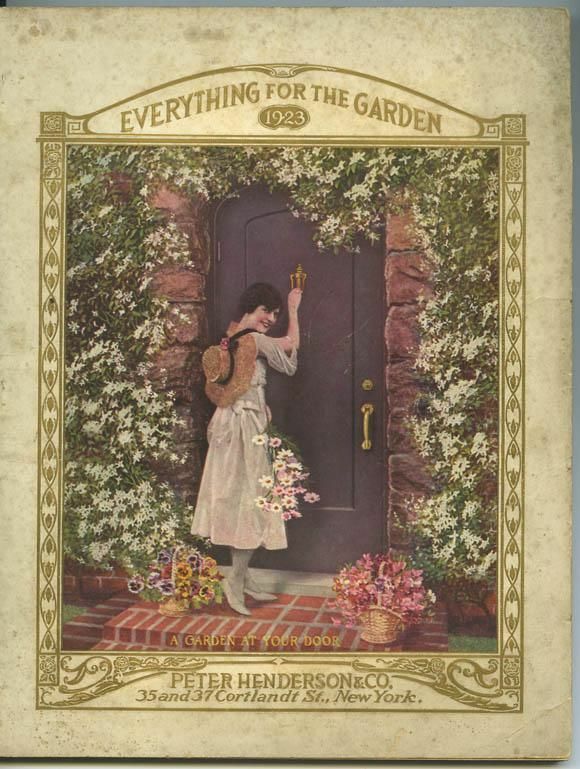 One way to interpret them is by understanding that the lady is only actively undertaking the final phase of gardening – she is picking the flowers for her arrangements within the home. The ‘dirty’ work is left to the paid (male) gardener through hot summers and chilling winters. 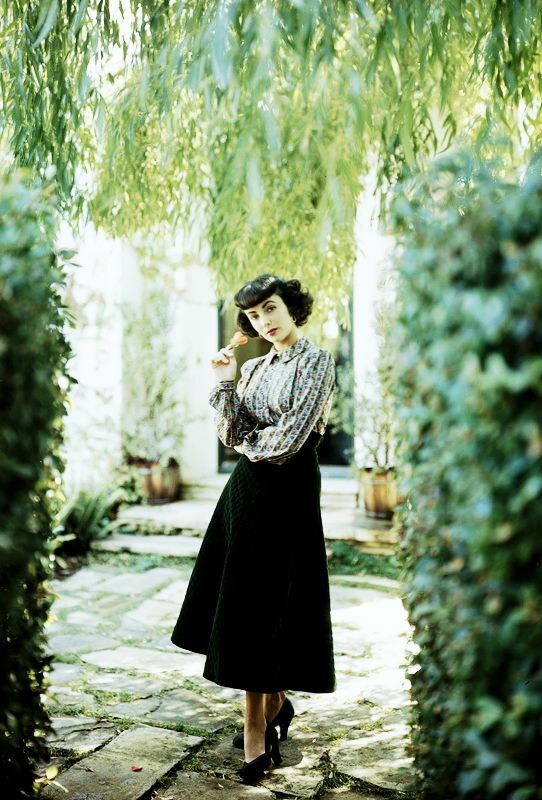 Here the beautiful garden becomes synonymous with the beautiful celebrity, actress Liz Taylor posing in a secret garden holding a fresh bloom. An easy association typical of fashion magazine dialectics. It takes the notorious admen of 1950s America to come up with associations like this one! I want that straw hat! Thoroughly enjoyable post, thanks!